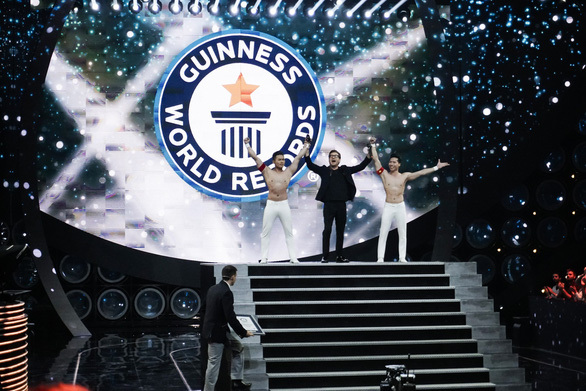 “Guinness World Records has recognized that Giang Quoc Co and Giang Quoc Nghiep set a new world record,” the pair posted on their verified Facebook page on Wednesday. Co, 34, and his 28-year-old brother Nghiep were given one minute to perform their stunt but were able to complete the task in just 53.97 seconds. 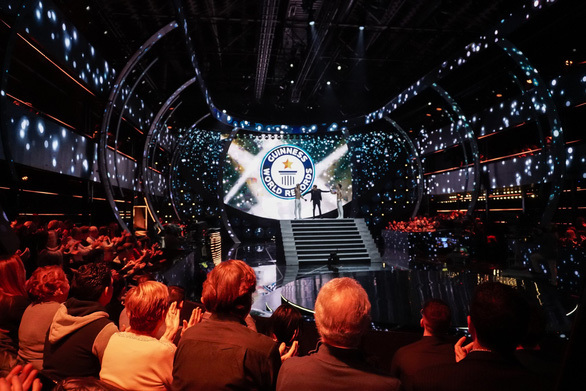 Their performance was filmed for an Italian TV show which featured nearly 30 other record attempts by performers from all over the world. The Giang Brothers performing in Italy on November 15, 2018. 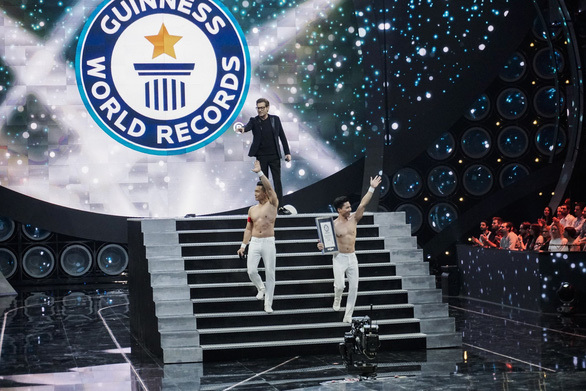 The Brothers’ Facebook post also expressed their relief to finally have their new record officially confirmed by Guinness World Records after 20 days of waiting. Co and Nghiep told Tuoi Tre (Youth) newspaper that they plan to hold an event in the near future to thank their supporters. They expect to shoot a film documenting the milestones in their amazing circus career sometime in 2019. The Brothers have been circus performers for as long as they can remember, and their careers have taken them all over the world since 2001. Their death-defying performance in which Co would balance his brother head to head while climbing stairs has quickly risen to worldwide fame since appearing on Britain’s Got Talent last year. In 2017, the Ho Chi Minh City-based duo climbed 90 stairs in 52 seconds in this fashion at an event in Spain, achieving their first Guinness World Record for most stairs climbed with a person balanced on the head. “[What we did in Italy] was a real major event in our life because we had just broken someone else’s record in Spain. This time, it was about setting a whole new,” Co told Tuoi Tre.